I recently came across my bucket list. Written years ago, at a time I was feeling desperately stuck, I had a vague anticipation something was on the horizon. My day to day situation seemed so bleak though. I knew God could restore what the locusts had eaten (Joel 2:25), but to be honest, I was nearing the end of my rope. I remember sitting at my kitchen table creating the list. A list of dreams so big, even writing them down seemed silly. Things I thought I might never be brave enough to try, or even have the chance. 1.) Sailing…serious sailing, in a beautiful, big sailboat with the owner…not just on a rented cruise. I never could have known God was preparing, even then, to take me on quite a sailing adventure. When I wrote that dream down I was thinking of sailing in the conventional sense…gorgeous white boat, sails full of wind, unending turquoise sea. Not understanding I would set sail from my computer! Alongside so many brave women (and a few men) from around the world. That the white boat would actually be my black laptop, and the turquoise sea, a vast place called the “internet.” Surrounded by so many dreamers who get it. Readers and writers – who know first hand how hard and beautiful the journey is. Encouraging each other…as the Holy Spirit filled the sails. Not to mention, sailing with the True Owner of the ship. This little corner of the web has also been my safe harbor. It’s because of you I was finally able to relax into who God made me to be. The good and the not-so-good parts. To finally accept my identity in Christ. So, what I’ve been called to do is difficult. In going through the Mark Batterson Draw the Circle prayer journey, first over the summer and again in the fall, I started to feel a funny little tug that at first I ignored! It was crazy. (Real crazy – not just normal crazy – ha!) Except it got stronger and I finally knew what God was calling me to do. To step down from leading the God-sized Dreams website. Moving forward, Kristin Smith will be Executive Editor, with Delonna Gibbs and Alecia Simersky serving as Managing Editors. Praise God – His plan is so good!! I truly feel God has a remarkable team of leaders hand-selected for this site. Each one has such a heart for supporting God-sized dreamers, in many different ways (missions, prayer, encouragement, etc., etc. ), all complimenting each other beautifully. God bless Kristin, Delonna, and Alecia for being so brave to say yes to this call. I know God has called each one of them for a divinely inspired reason – it will be beautiful to watch it all unfold. I will stay on as a writer but I’m going to take a little time off. When I started to hear God’s call to lay the site down, I had a feeling I was being called to something “locally,” but didn’t know much beyond that. Just a sense that I had to let go of things first – to make room for what was to come – even though it sounded crazy to be making room for something that didn’t even exist! Oh, the joys of God-sized dreaming! Ha! Thank you for a wonderful journey! Thank you for the comments, emails, tweets, Facebook comments, etc. I have cried and danced and cheered along with you! Big thanks to Holley Gerth, who taught us the importance of obedience and helped us all set sail in the first place. Gindi Vincent and Kristin Smith, thank you for giving tirelessly, at all hours, for this dream. God knew I would need help and He sent the best! And this dream wouldn’t exist without the writing team – I am grateful for each one of you! Anyone who doesn’t think it’s possible to meet friends on the internet, need only meet this team. One last thank you, to the “Wild 99” (the name Chelle Wilson gave to the original crew of 99 dreamers), for your prayers and support. I simply cannot wait to see what God has in store for His God-sized dreamers in 2015! Love you all! Oh Christine. I would be lying if I said I wasn’t sad to see you go. 🙁 I also know that God has wonderful things ahead for you and while it may be hard on you (and others) to let go of one dream, the next one he lays on your heart will be just as fulfilling and just as much of an adventure. And Kristin, Alecia and Delonna, you three will be awesome!! Thank you *all* for your dedication to something that has meant and does mean so much to so many people, myself very much included. Hugs!! Thank you, Ashley. As I read her words I’m still so torn over her stepping down. But at the same time excited for what God has planned for her and us. She is a leader in every meaning of the word, and so very very brave. Ashley – you have been a blessing and supporter of this site since it started. Thank you for always being such an encouragement to us! You’re welcome Kristin! 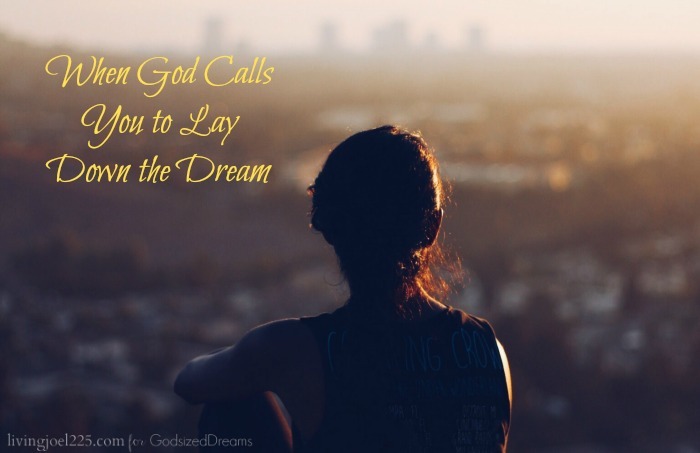 I truly enjoy reading all of the posts on the site and when I discovered You’re Made for A God-Sized Dream and then this site, I was thrilled to death to finally have a name (“God-sized dream”) to put with what God had laid on my heart. lol! I’ve always been a dreamer and my faith is the core of who I am so this site is truly near and dear to me. Christine, you mentioned he may be calling you to do something locally. Oh.. how I relate. He’s calling me back to my hometown of 1500 people, the place I swore I would never go back, to open a residential discipleship program for women. I fought it like crazy, but in the end, by desire to be obedient outweighs the desire to be disobedient. This year, it’s now about growing my platform, or selling books. It’s about Jesus. In a place most people have never heard of it. No coffee shops. No sushi. No Ruby Tuesday. No comfort zone. Wow, Sundi!! Wishing you many blessings as you take these bold obedient steps. 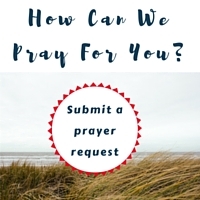 Please know we are here if you ever need prayer or encouragement. Email us anytime! Yes WOW Sundi! I am so proud of you and excited to see what God does through your act of obedience as well!! Wow. This post had me all teary. Teary because being apart of the wild 99 has been one of the most amazing blessings of my life. And watching my dream sisters launch their dream.. so so so exciting. I am so proud of you my friend. You did it. You followed. You set sail. Now I am so excited to see where God takes your obedience. I am so blessed to pray for you and so proud of you. And Kristin. you will do a fantastic job! I am so excited that you have stepped out in obedience and said yes. Jenn, You are one of the biggest joys of the Wild 99!! Thank you for your faithful support and the love that you give us here!! Christine…what a powerful presence you have been. You braved new waters and sacrificed much to bless and serve others. This morning as I read your post, Oceans by Hillsong was playing. In their perfect words: may the Spirit lead you where you’re trust is without borders, may you walk upon the waters wherever He calls you. Might He take you deeper than your feet could ever wander so your faith would be made stronger in the presence of your Savior. Praying He blesses your time of rest and brings you back to us soon. 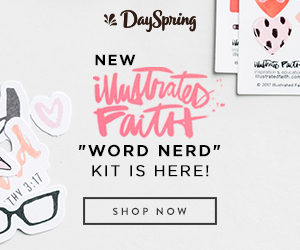 Kristin and Alecia – God’s best and brightest to you on your brave new journey! Tiffany – we LOVE LOVE Oceans!! Thank you so much for your support and encouragement!! We are so blessed to have such beautiful friends here!! So grateful for what you let God use you for here, Christine! I’m excited to see what else he has in store for you, locally, and everyone involved in this website. Christine, your testimony of being called to a dream and then called to lay it down is powerful! One more reminder that we’re all called to hold our dreams lightly. May the Lord bless you as He continues leading you over uncharted waters! And may the Lord bless Kristin, Delonna, and Alecia as they continue this ministry. Thank you Betsy!! And yes how powerful that statement, to hold our dreams lightly. Making following God’s plan the most important part of our lives – regardless of where it takes us!